This was Duffy’s first ever published magazine cover. 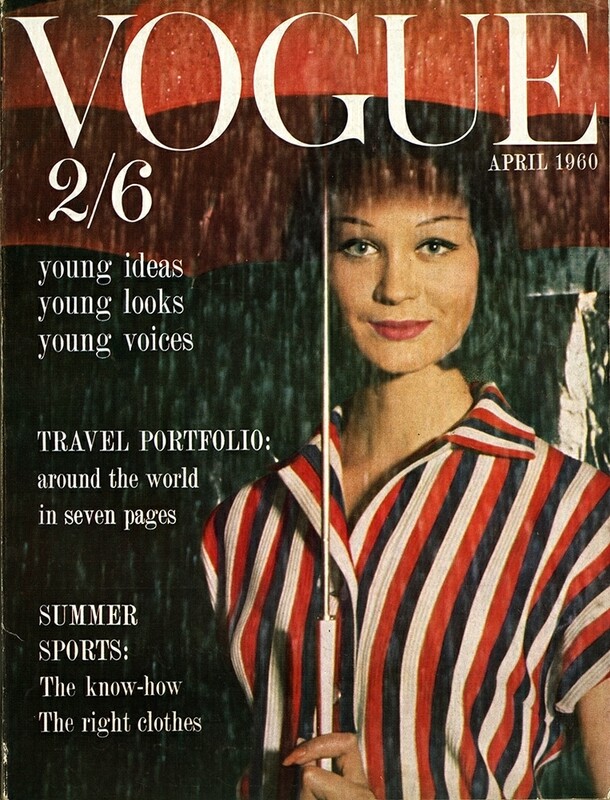 This issue of Vogue released in April of 1960 features Marie-Lise Grés in the rain. The caption reads: April showers, but who cares, Young Idea can flourish her scarlet umbrella. The dress beneath, red, white and navy striped jersey, straight skirted, short sleeved, very chic and casual. Dress 9 1/2 gns., Jaeger branches. Umbrella by Peerless, from £4 15s. 6d., Dickins & Jones.